At Comfort Heating and Air, we are committed to customer satisfaction. When you contact us, have confidence that we will provide the quick follow-through, personalized attention, and skilled work you deserve and expect. Whether you are looking for installation, upgrades, maintenance, or repair, we help you achieve your goals for reliable and energy-efficient comfort. We recognize the need for trustworthy service in Tahlequah and throughout Tahlequah, Park Hill, Keys, Cookson, Westville, Praire Grove, Farmington, Lincoln, AR & Stilwell, OK, and answer with competitive prices, high quality, and ethical business practices. As experienced representatives of the HVAC industry and dedicated members of the local community, we provide a dependable source for your temperature control needs. Dependable products and reliable service for all your heating and cooling needs! Comfort Heating and Air is a Bryant Factory Authorized Dealer. From outstanding customer service to technical expertise, we have met Bryant’s demanding standards. Our team receives ongoing training, staying ahead of industry advancements. 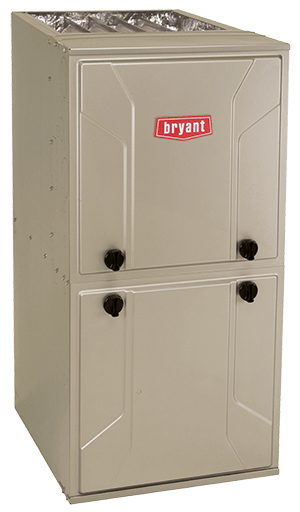 We are extremely proud to offer a full line of Bryant systems, bringing our customers state-of-the art options that include the most efficient and intelligent heating, cooling, and air quality products on the market today. From ENERGY STAR rated models to programmable thermostats, Bryant delivers convenience, affordability, and luxury at its best. For the best in HVAC system services, trust in the friendly team at Comfort Heating and Air! At Comfort Heating and Air we bring together skilled technicians, leading products, and unwavering dedication. Through the accurate installation, maintenance, and repair of central air conditioning, heat pumps, ductless mini split systems, furnaces, and more, we have everything you need to keep your home comfortable year round. We offer free estimates and ten year warranties to further protect your interests and facilitate your project. Our experience, fair pricing, and personalized customer focus sets us apart. Contact Comfort Heating and Air at 918.822.2096, and get the best value for your investment.